Such variety in one country would be hard to match! Youll experience a huge range of terrain from the flat river delta of Veneto, through the rolling hills of southern Tuscany to the mountain passes of the Abruzzo. Cycling from the most southerly point of the heel of Italy up to Venice, having ridden nearly 1,100 miles and climbed 21,700 metres! Out of popular demand and request, we have put together the ultimate 21 day - Italy Traverse from South to North and what better way to end than the magical Venice - this stunning city, criss-crossed with a dense network of canals and home to some of Italy's finest architecture is a great finale to our journey across Italy. Starting in the 'heel of Italy', the most southern point of St Maria di Leuca, we have planned our 'perfect' route up the length of Italy. We've fitted an incredible amount into the itinerary, and you should be able to go home at the end of the tour having seen the best that Italy has to offer! Throughout the trip we will have the opportunity to visit and ride through 10 World Heritage sites recognised by UNESCO: the Sassi and the Park of the Rock Churches of Matera and the trulli of Alberobello, the castle of Frederick II of Swabia in Andria (Castel del Monte), the historical centre of Pienza, Val d'Orcia, the historic centre of Siena, the Po delta and Venice and its lagoon. 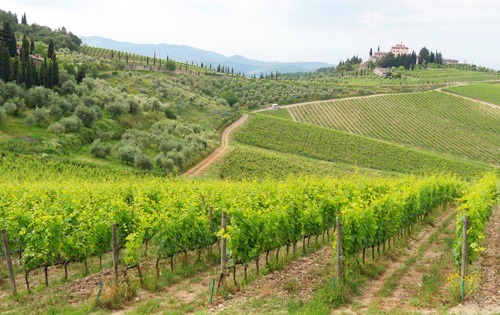 With a combination of superb riding, incredible scenery, fantastic Italian food and wine and plenty of opportunity to experience La Dolce Vita (the good life), this trip could well be the perfect way to experience the best that Italy has to offer. The post Double fun on Italy’s Grand Traverse appeared first on Skedaddle Blog.